Sadly, a dog’s life is finite and you will have to bid your beloved pet farewell at some point. 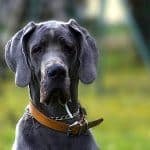 But large dogs exhibit a wide range of average lifespans; some live for only 6 or 7 years on average, while the longest living large dog breeds routinely reach twice this age. In an attempt to enjoy their dog for as long as possible, many prospective owners seek out breeds with relatively long lifespans. But this can be difficult for lovers of large dogs, as most of the longest-living breeds are pretty small. Malteses, Shih Tzus and Beagles, for example, often reach or exceed 15 years of age. Conversely, Irish Wolfhounds and Bernese Mountain dogs live for about 7 years on average. But that doesn’t mean those who like big canines can’t find a long-lived dog breed for their family. In fact, there are several breeds who grow relatively large and live for a long time. Large dogs usually have shorter lifespans than smaller dogs, but the seven breeds listed below are all rather large and normally live for 10 years or more. 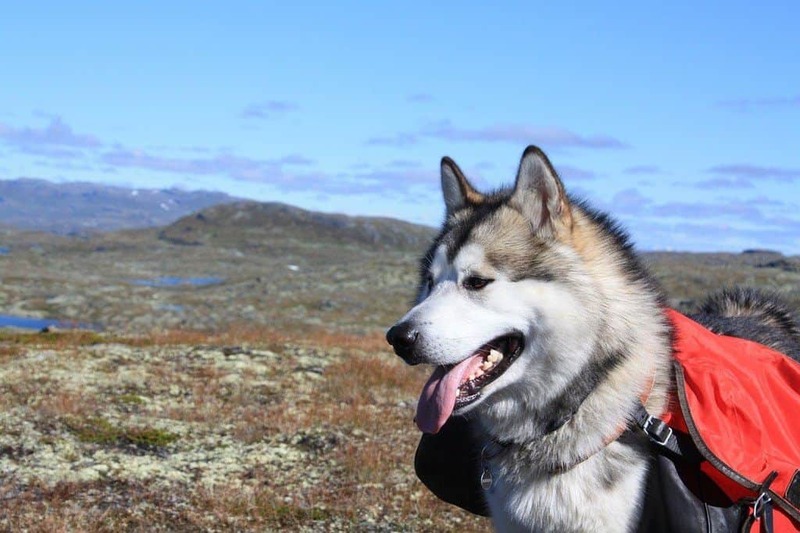 The Alaskan malamute is a strong dog, who is built like a tank and ready to take on any challenges that face him. The only exception to this is guard-dog work; malamutes regard strangers as friends they’ve yet to meet. Originally developed to hunt and drag sleds, malamutes require plenty of exercise to prevent the development of destructive behaviors. Malamutes are perhaps the best example of a longest living large dog breed, as they may reach 100 pounds in weight, and most live for 12 to 15 years. Although few people think of poodles as large dogs, standard poodles occasionally reach 75 pounds and stand up to 22 inches high at the shoulder. Smart, loving and capable, standard poodles have great personalities that often endear them to everyone they meet. While you must be sure to assert your dominance (in positive, loving ways – it is never necessary to treat a dog harshly) to ensure your poodle understands where he exists in the family pecking order, they are one of the best breeds for first time owners. Poodles are one of the longest living big dogs on our list, and many reach 14 to 15 years of age. Giant schnauzers are 50- to 90-pound bundles of intensity, who require plenty of exercise and stimulation to remain happy. Although they are typically very affectionate with their families, giant schnauzers are wary of strangers, which along with their courageous personalities, makes them excel in guard dog work. Giant schnauzers don’t live as long as some of the dogs listed here, but they usually reach 10 to 12 years of age if cared for properly. Although they are intelligent canines, giant schnauzers are sometimes challenging for new dog owners to train, thanks to their independent and bold personalities. Belgian Malinois are at the small end of the “large” dog category, but some of the biggest individuals tip the scales at about 80 pounds. Living for 12 to 14 years on average, Belgian Malinois tend to bond strongly with their families, but they often present training challenges for novice owners thanks to their combination of intensity, sensitivity and intelligence. If you want to add a Belgian Malinois to your home, be sure to socialize him at a young age and be prepared to take him with you everywhere – most members of this breed hate being left home alone. Chows aren’t gigantic dogs, and some would probably consider them medium-sized, rather than large. But, some reach or exceed 70 pounds in weight, and thanks to their long coats, they look much bigger than they actually are. Chows live between 12 and 15 years on average, and they don’t suffer from many health problems. Chows are rather independent canines, who can be challenging to train, but some owners love their low-maintenance personalities. If you’d like a lab-type dog that has a relatively long lifespan, the curly coated retriever may be the breed for you. Although some curly coated retrievers fail to reach the decade mark, many live for 12 years or more. Weighing up to 100 pounds (although many remain smaller than this), these curly haired canines love to run, jump and play, and they require a large yard and lots of exercise to remain healthy and happy. Like most other lab-types, curly coated retrievers are very affectionate with their families and friendly with strangers. Thanks to the large gene pool from which they emerge, many mixed breed dogs live very long lives. However, you will never know how long your mixed breed is likely to live, unless you know a lot about the parents, which is pretty rare for owners of mixed breed dogs. The best strategy for owners seeking a long-lived mixed breed is to select one that was produced by breeds that have long lifespans. Mixed breed dogs can live for anywhere between 10 and 17 years. No matter what breed of dog you own, you’ll certainly want him to live the longest life possible. 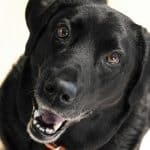 You obviously cannot avoid or prevent all medical problems, but you can take several steps that will increase your canine’s chances of living a long, healthy and happy life. 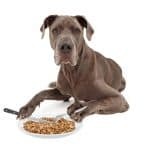 A high-quality, balanced large breed dog food is crucial for keeping your dog healthy for his entire life. Among other things, this will help prevent nutritional deficiencies and keep your dog’s body operating properly. 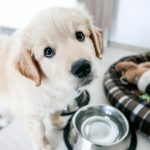 Just be sure that you feed your dog the correct amount of food, and that you keep his body weight within the range your vet recommends, as obesity can shorten the life of any dog. Regular veterinary care is critical for avoiding diseases before they occur, and it allows you to correct problems early, rather than letting them linger. Be sure that you obtain all of the vaccinations your vet recommends and that you have your dog spayed or neutered. Additionally, because accidents and traumas can be fatal for even the healthiest dogs, always have your vet’s contact information handy, in case your dog needs emergency care. One of the most important ways to ensure your new pet will live a long life is to start with one that descends from healthy breeding stock. Many large breeds are susceptible to congenital conditions which can shorten their lifespan or reduce their quality of life, but reputable breeders take great strides to avoid breeding dogs with these problems. 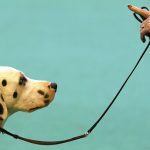 Regular exercise is as important for your dog’s health as it is for your own. Exercise can help keep your dog fit, it will help your dog’s heart and lungs remain healthy and it has a number of mood-elevating effects. It’s a good idea to vary your dog’s exercise regimen regularly to ensure that all of his muscle groups are involved, and it will also help provide mental stimulation too. We’d love to hear about your experiences with long lived large dog breeds. Have you ever had a dog that lived for much longer than is common for the breed? What was your secret? Did you employ an unusual exercise program? Did you feed him a special diet? Tell us all about your long living large dog breed story in the comments below.